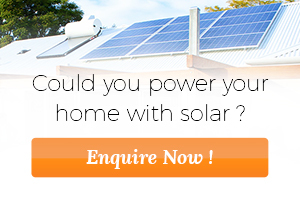 Summer is finally here which means there’s never been a better time to install your new solar PV system. To find out why summer is the ideal time to invest in solar, read on. There’s no denying the stats – summer is the best season in terms of solar generation. This is thanks to longer average days, which means more sunlight for your panels to turn into free electricity. Your air conditioner can run up to twice as long in summer as it does in other seasons to keep your home at a comfortable temperature. For example, in spring, if the temperate outside is 30°C and you have your AC set to 25°C, your AC has to cool your home just 5°C. In summer, if the outside temperature is 40 and you want to cool down your house to the same level, your AC has to cool your home by 15°C. The longer and harder your AC has to work, the more electricity your AC will be using. With children home from school and a number of special occasions on the calendar (Christmas, New Year’s Eve, Australia Day, etc) general electricity usage will be on the rise, due to an increase in cooking, festivities and socialising. Installing your system in such a solar friendly season means you can start utilising your very own generation straight away. This will help to offset high energy bills associated with increased air-conditioner and general appliance use in the warmer weather, resulting in substantial savings. Solar government incentives, also known at STCs , are gradually being phased out and the next reduction to the rebate is planned take effect from January 2018. By installing your system in the early summer months, you can secure the current STC incentives and maximise your savings off the upfront cost of your new solar PV system. 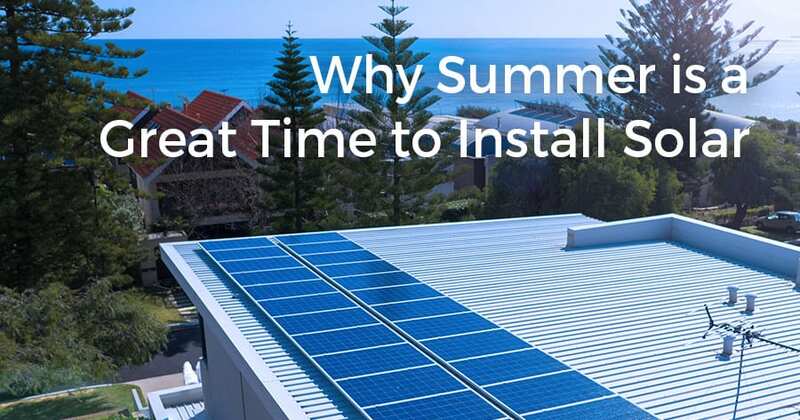 Summer is peak season for solar PV system installations, and at Infinite Energy, we tend to book out extremely quickly. To avoid penalising customers who may have to wait a little longer for installation, Infinite Energy has decided to honour all out of pocket prices quoted before January 1. This guarantees you the current incentives, even if your system isn’t installed until after the New Year. Despite not being as warm or sunny as the summer months, autumn is still a great time for solar generation, as your panels actually prefer less intense heat. Installing your solar PV system in summer means you can use your AC guilt-free in autumn, and not be caught out on any blistering hot days. March 2018 had an average temperature of 29.8°C, 12 days hit over 30°C, and the hottest day recorded was 38.5°C, meaning your air conditioner would still be in use. To find out how much investing in a new solar PV system could save you on your summer electricity bills, request a no obligation quote today, or call us on 1300 074 669.